No Man’s Sky is a game recently developed by an independent studio called Hello Games. It was launched in August of 2016 for PlayStation 4 and PC. The PlayStation 4 edition was released just three days ahead of the PC version and it received a lot of high praise. The game had been highly anticipated since 2014, when Sony first showed interest in it and had many gamers and publishers eager to get their hands on a demo. The game itself is a novel, remarkable breakaway from traditional space adventure games. There is no pre-determined enemy, no campaign one must follow, or a set storyline that drives the game. There is only one true objective: reach the center of the galaxy. Once at the center of the galaxy (a point no gamer is anticipated to experience within a single lifetime) the game starts over again with another universe where the player is free to explore all over again. All of this is achieved through rich, complex algorithms that build each planet (and the entire galaxy) procedurally. Put simply, the game is completely computer generated. The game is a computer simulation and the backstory plays into this. 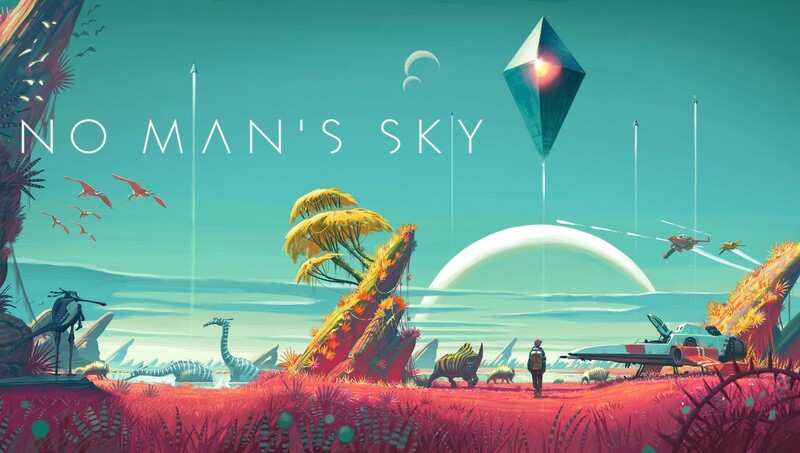 With this much anticipation, and having been so well-received on PlayStation 4, it was surprising when three days later the PC edition came out and things started to turn south quickly for Hello Games. Suddenly, there were horror stories of people paying $60 for the game, only to have it crash before ever fully launching. Many people experienced incompatibilities with graphics cards and different chipsets. Some determined people were able to work around these issues and finally play the game, only to still experience terribly low frame rates and other issues with game play. Few people were actually able to play the game without an issue and there seemed to be no correlation as to what mix of hardware and software would allow one to experience the game the way it was meant to be played. Hello Games immediately released an “experimental,” untested patch for Steam users, but that left out people that had not purchased the game through Steam. Things could not look any more bleak for Hello Studios. Then Steam began offering refunds for the game, no matter how long the user had played or owned the game, due to the technical issues. That leads us to the purpose of this article. Why did Hello Games not consider risk management before launching this game on PC? A common concept in the security industry, risk management allows an organization to achieve their objective in the safest manner possible by understanding and evaluating risk factors and then putting the proper steps in place to mitigate those risks. Risk is the possibility of loss unrealized. The risk, in the case of Hello Games, was a soft risk, but a risk nonetheless. The possibility (or occurrence) was high, as well as the consequences. The consequences, as we see now, were terrible for their sales and financial goals. People are upset about the game not functioning properly on PC, the lack of a patch to fix the issues developed in a timely manner, and are returning the game in high numbers. Gamers have also taken to Reddit and other forums to relieve their frustrations. Entire subreddits are now dedicated to this fiasco and are strongly aligned against the studio. The factor that could have been determined and controlled by Hello Games was possibility. Development could have been delayed on the PC edition (or both editions for a simultaneous launch) until the game was more fully developed and tested. Admittedly, the PC platform is incredibly hard to develop for since there are hundreds of thousands of hardware and software configurations to consider, compared to console development where a developer or studio knows exactly the hardware and software for which they are developing. All of those different configurations increase the possibility of an incompatibility risk, but this is something Hello Games could have mitigated during their development cycles. Had Hello Games paid more attention to the affect a bad launch would have had on their brand (unrealized loss), they probably would have taken control of the risk possibility for incompatibility and would have released a more highly developed game. This would have mitigated their risk, but it seems that Hello Games was more concerned with meeting a launch date with a simultaneous launch on PlayStation and PC. Risk mitigation should be considered by every organization and even game studios, because everyone has risk. Hello Games should have considered it when deciding on when to launch their game to the general public. It could have mitigated a lot of the issues they are experiencing today (at the time of this writing). Even with all of the advancements in game play and technology, the launch of No Man’s Sky will now forever be remembered as a failure on PC, where the gaming community often remembers faults and forgives slowly.